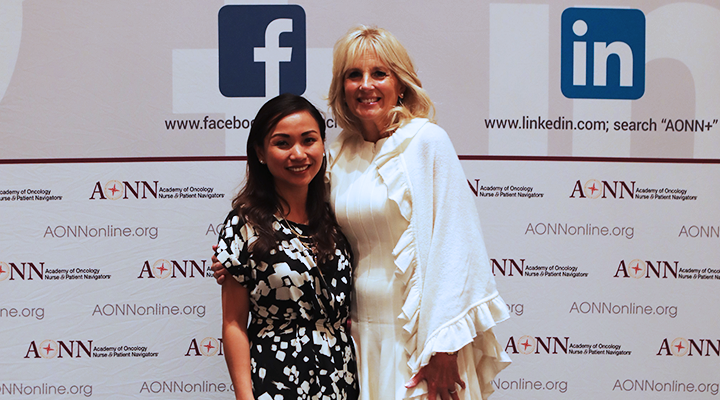 CRANBURY, New Jersey, January 21, 2019 — The Academy of Oncology Nurse & Patient Navigators (AONN+), the only national organization for navigation professionals, is pleased to announce that Co-Founder and Program Director Lillie D. Shockney, RN, BS, MAS, ONN-CG, has been named a 2018 WebMD Health Hero for her work as a caregiver in the fight against cancer. The annual awards, which honor Americans whose work improves health and wellness, were presented on January 15, 2019, at the health information website's headquarters in New York City. Now in their 12th year, the 2018 awards focused on individuals who have "left their mark on the fight against cancer" in research, advocacy, caregiving, and more. WebMD's editorial team selected the recipients, and a donation was made by WebMD to the nonprofit organization Stand Up To Cancer on behalf of the award recipients. The field of 7 recognized for their work in the treatment of cancer included Academy Award–winning actor Kathy Bates, Nobel Laureate James Allison, and musician Rufus Wainwright. The event was hosted by journalist Amy Robach and filmmaker Sandra Lee, best known for their careers in television. Both women are cancer survivors and advocates. Many of the evening's honorees and presenters, including Ms. Shockney, were cancer survivors themselves, or have been directly affected by someone with cancer. One of Ms. Shockney's former patients presented her with the Health Hero award. Ms. Shockney, one of the leading cancer nurses in the United States, is a University Distinguished Service Professor of Breast Cancer and a Professor of Surgery at Johns Hopkins University School of Medicine. She is a 2-time breast cancer survivor, oncology registered nurse, and nurse navigator. She is nationally and internationally known for her work in patient advocacy and a multidisciplinary approach to patient-centered oncology care, emphasizing the importance of beginning survivorship care at the moment of diagnosis. 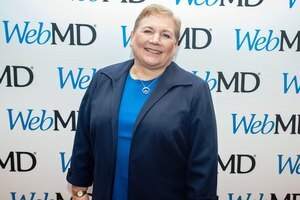 She is the co-developer of Johns Hopkins Medicine's Work Stride: Managing Cancer at Work, an employee benefit for businesses and corporations nationally. For more information, including how to become a member of AONN+, please visit our website: https://www.aonnonline.org.